The Olson Center for Women's Health is more than an Ob/Gyn clinic. We are a multi-faceted, comprehensive health center designed around a woman's needs. 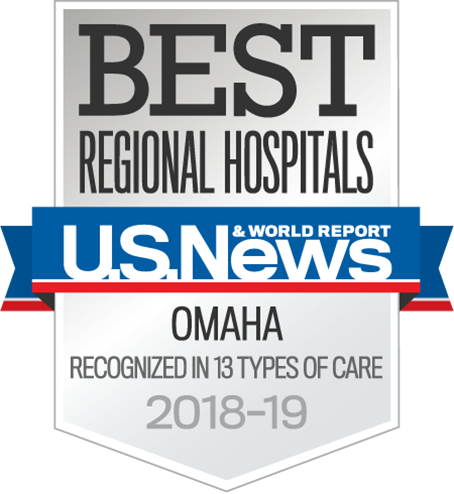 We promote wellness, education, research, and exceptional clinical care in a comforting environment and offer some of the area's top healthcare providers. Through our many services, specialists, programs, and events, we provide you the best healthcare for every stage of your life. 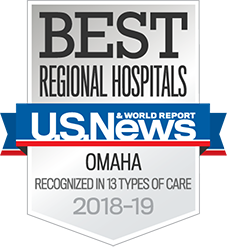 Book an appointment at our Nebraska Medical Center clinic in the Durham Outpatient Center in Midtown, or at our Village Pointe location. Our mission is to provide a national, comprehensive health science center and make distinctive strides in education, research, and service through innovative approaches to women's health issues. Our vision is to deliver premier comprehensive women's outpatient health services in an environment created to meet the unique needs of women. The late Dr. Leland Olson and his wife, Dorothy were long-time philanthropists and investors in the future of women’s health. Over the years, the Olsons committed millions of dollars to advance research, education, and patient care at the university. Their family and the Olson Foundation continue that work to this day. Dr. Olson received his Bachelor of Arts degree from UNL in 1941 and his medical degree from UNMC in 1944. Mrs. Olson received her nursing degree from UNMC in 1943 and her Bachelor of Science in nursing from UNO in 1967. Their children also have strong ties to the University of Nebraska. Their son, David, received his medical degree from UNMC. Daughter Nancy received a Bachelor of Science degree and Master of Business Administration degree from UNO and a Master of Science degree from the University of Nebraska. Another daughter, Karen, also received her medical degree from UNMC. In addition, David Olson’s daughter, Kendra Olson Swanson, received her medical degree from UNMC. In recognition of their contributions to the University of Nebraska, Dr. and Mrs. Olson received the highest honors of UNMC: honorary doctorates as well as the University of Nebraska Foundation’s Perry W. Branch Award for Distinguished Service to the University of Nebraska. Their first donation was made in 1986 to create the Dr. Leland and Dorothy Olson Resident Research Fund, which benefited the Ob/Gyn Department resident research and education programs. Three years later, the Distinguished Chris J. and Marie A. Olson Chair of Clinical Investigation in Obstetrics and Gynecology was developed in honor of Dr. Olson’s parents. This funding has allowed for substantial growth of the UNMC Department of Ob/Gyn. Conversations then originated between then-chairman of the Department of Ob/Gyn, Dr. McClure Smith, Dr. John Niemann of the University of Nebraska Foundation, and Dr. and Mrs. Olson on the development of a new center that would benefit the medical well-being of women through advanced research and novel clinical therapies. The gift agreement of 1993 formed the Leland J. and Dorothy H. Olson Center for Women’s Health. A board of advisors was then formed to develop, evaluate, and fund specific programs and projects within the Olson Center. The contributions continued in 1994 with the development of the Dorothy Hodges Olson Chair in Nursing Fund which facilitated the appointment of a distinguished nursing faculty who was accomplished in teaching and research. In 1995, they made a gift to support the construction of two additional floors of the Lied Transplant Center. The same year, a fund was developed to create the new director of research and development position within the Olson Center for Women’s Health. 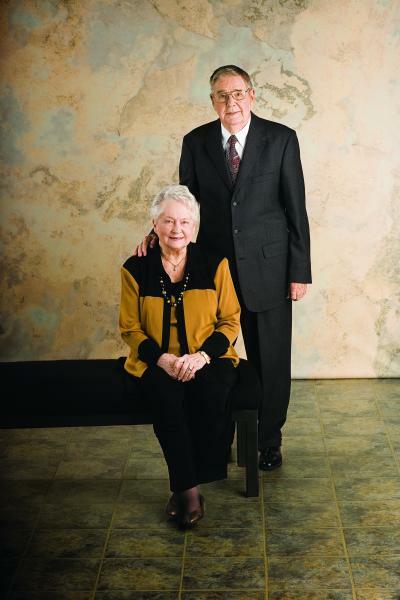 In 1999, two gifts were made to create endowed chairs at the University of Nebraska-Lincoln. The chairs have helped the university attract faculty with strong teaching and research ability, one of which is appointed by the chancellor and the other in the College of Arts and Sciences where Dr. Leland Olson received his bachelor’s degree. And in 2001, they endowed the McClure L. Smith, MD, Professorship of Gynecologic Oncology. The Olson Center for Women’s Health has shown steady growth in the number and quality of research projects in women’s health, gynecologic cancer, and infertility. The Women’s Health Resource Center opened in 1994 to provide education to patients, families, staff, and the community through educational materials, conferences, and the development of Olson Center publications. A specialized breast clinic for the diagnosis and treatment of breast disease was created, as well as a teen pregnancy education and prevention program. The 2007clinical expansion of the Olson Center for Women’s Health outpatient facility has brought various women’s health care services to one location providing patients advantages beyond convenience. In 2011, the Olson Center surpassed the $5 million dollar mark in research investment at UNMC.